Designed to safely and consistently stop your dog’s nuisance barking, also features Perfect Bark technology that provides firm, fair and consistent bark control. 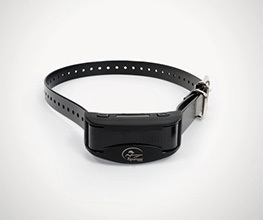 The PetSafe Big Dog Rechargeable Bark Control Collar uses several features designed to shorten the training phase and promote good behaviour. 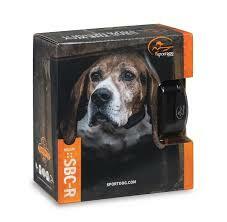 The Bark Control Collar has a unique patented sensor that provides the most reliable bark detection available. The Bark Control Collar uses both vibration and sound sensors (dual-detection) to discriminate each bark from other external noises. An electrical stimulation is administered through the contact points on the collar only if both the vibration from the vocal chords and the sound from the bark match the same criteria. Temperament Learning mode: Stimulation increases until barking stops. The last correction level becomes the new starting level. Progressive Correction mode: Stimulation increases until barking stops, then resets to the lowest level. User-Selected Correction mode: The user presets the correction level.